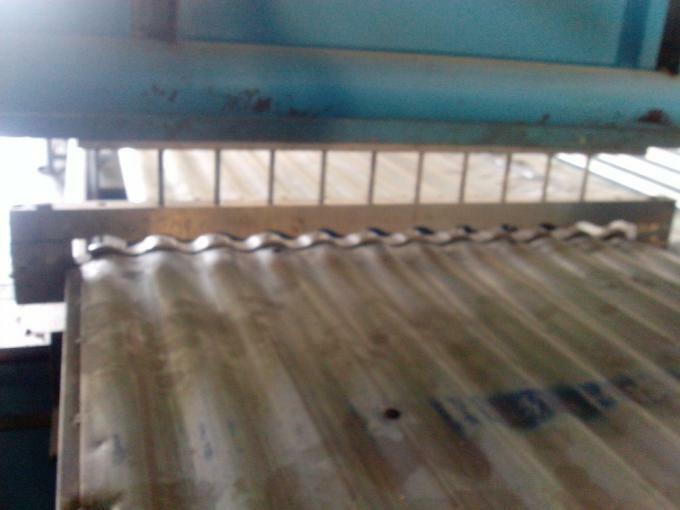 Now, the assembled silo that is composed of galvanized corrugated sheet is widely used for the purpose of commercial grain storage around the world, and our assembled silo corrugated sheet roll forming machine is especially designed to manufacture such steel sheets. 1. 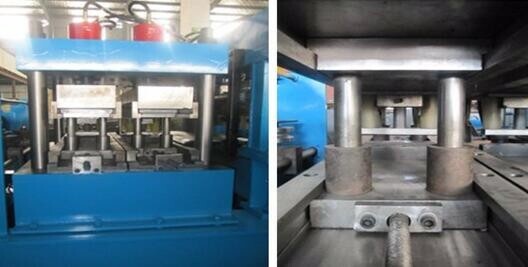 This machine is designed to process steel coil into corrugated sheet with desired specification in one step, and this is available even for thicker steel. 2. 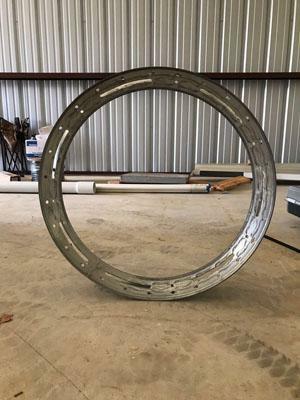 Our product makes use of roll forming technology to fabricate the corrugations one after another, resulting in released internal stress, reduced spring back effect as well as improved product quality. 3. This corrugated sheet roll form machine is most popular one among similar products on the market, and it can be tailored to best fit every customer's needs if relevant drawings are supplied. Meanwhile, the production process, including two options, is up to the customer. a. Form the straight sheet with corrugation first, and then punch holes and curve the sheet outside the production line. b. 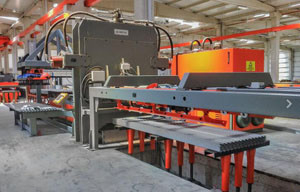 Shape forming, punching, curving and shearing operations are finished on the same production line automatically. There would be no straight edges on the sheet, thus the assembly is easy and the productivity is enhanced. This corrugated sheet roll forming machine consists of several parts, as listed below. 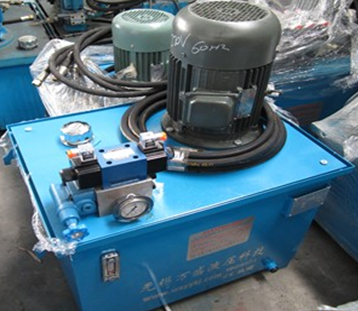 Roller material Ball bearing steel goes through heat treatment and surface finish process. 2)Automatic stopping of the equipment after completion of the cutting programme. 1. The silo constructed with the steel silo making machine has optimal overall performance and long lifespan. The seaming thickness is 5 times the thickness of the base material. Apart from the strengthened load carrying capacity, the silo has the advantage of good stability and long lifespan over other product. 2. Optimal sealing performance and wide applications. Our cold roll forming line provides seaming with good airtightness. It helps prevent the granular and powdery grain stored being influenced by the humidity outside the silo. In addition, the silo constructed can satisfy the technological requirement for disinsection or fumigation. Application for storing liquid is also available. 3. Short construction period and low construction cost. It only takes about 5 days to construct the 1000 ton silo with our cold roll forming line. The silo weight is just one-sixth that of the cement silo. Therefore, the silo construction cost is reduced, accordingly. 4. Small land occupation, good adaptability and easy maintenance. 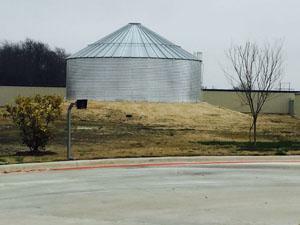 The height and diameter of the spiral steel silo is selectable within a large range. The space between the silos can be less than 50m.